Top floor apartment in Miraflores II, Playa Flamenca has 2 beds, 1 bath. Fully furnished, 2 nice pool areas. Direct by the saturday market. Fantastic 2 bedroom 1 bathroom top floor bungalow with a terrace. Lovely communal swimming pool and gardens located in Playa Flamenca. Good sized solarium with a glazed in part. Sociable living area/diner leading to the kitchen, which is lovely and bright. 2 double bedrooms. Would you like to enjoy this winter sun while you stroll along the shore of the beach? 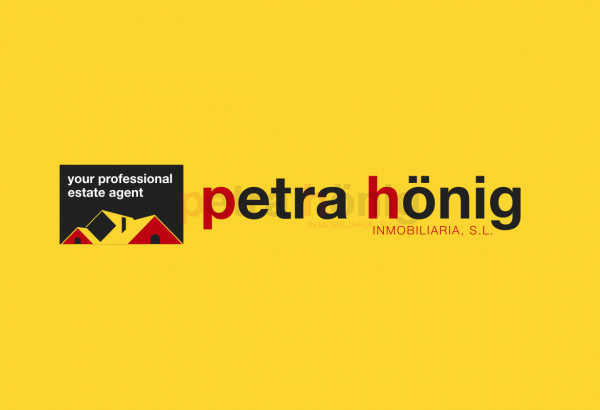 We make your dreams come true because we are the Estate Agents in Orihuela Costa that we are going to offer you your ideal home. If you want to live in a place where the cold does not come and its winters are sunny and temperate we advise you to come to Orihuela Costa. In the Spanish Southern Costa Blanca we find ourselves with a wide strip of coastline that occupies more than sixteen kilometers of coastline. It offers a wide range of beaches, sea coves, cliffs and marinas where you can relax and enjoy your favorite activities. If you are passionate about sailing, windsurfing, canoeing or snorkeling, now you have the opportunity to practice them at any time of year because along the coast of Orihuela Costa you will find a wide variety of nautical sports options for fun. If you also like to play golf, on the Costa Blanca South you will find a wide range of 18-hole golf courses of different difficulty for you to choose according to your level. 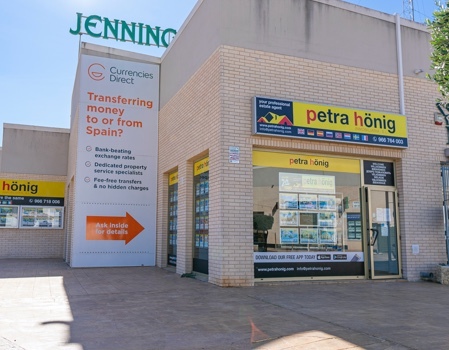 In a place with such a privileged situation and with an excellent climate our estate agents in Orihuela Costa want to offer you the house of your dreams. After a first contact with us, where we can identify your needs and requirements for your new home, we will offer you a chosen series of options. We will offer luxurious villas with wonderful sea views located in a beautiful residential environment and with a select neighborhood. They have a plot with swimming pool surrounded by a large solarium, parking area for vehicles and beautiful gardens. Can you imagine this winter relaxing in the solarium of your new home while you read the magnitude of the Mediterranean Sea? Maybe you prefer to live in an urban environment. We offer apartments in towns where you can have all the necessary services to live comfortably, such as shopping centers, restaurants, entertainment venues, various shops, health care, etc. If you prefer a bungalow with a nice community development where you can socialize with your neighbors while you play paddle tennis or enjoy the magnificent pool, do not hesitate to contact our agents in Orihuela Costa. They will offer you your ideal home. 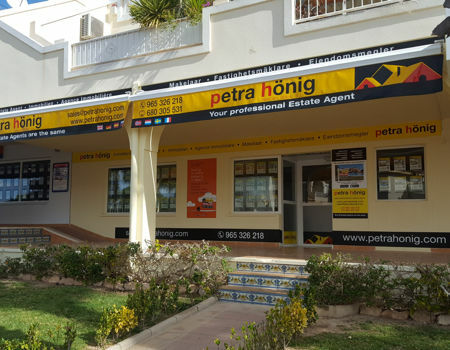 Contact our estate agents in Orihuela Costa and you will be pleasantly surprised by their way of working. Your enthusiasm and determination to offer you exactly the home you want is the reason why they listen carefully to you to identify the requirements that you demand for your new home. Trust us and our service. 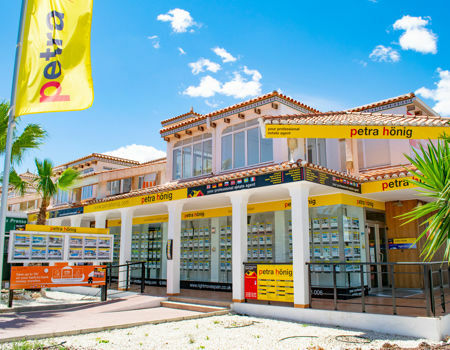 Our real estate agents have a great preparation to be able to advise you on all the questions that you have when you buy a house in Spain. Do not worry about the language, because with our multilingual staff you will not have communication problems. In addition, we also offer you an after-sales service because we will always be at your service to help you with any questions you may have.